Heavy Planet presents today's "New Band To Burn One To"...BEAUMONT LIVINGSTON! 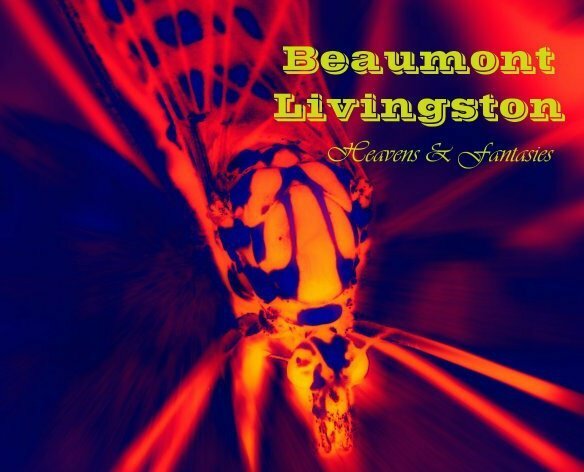 The Beaumont Livingston born from the idea of Ciro "Mr. Cherry'' Iacoviello (bass) and Mario Orefice (guitar / vocals) to create a musical project that would be close to their musical influences and sounds. They begun with their first musical experiences inspired and drawn to the musicality of the dusty desert sessions. In the role of drummer there was the substitution with Silvio "The Lieutenant'' Cogliano with whom they finished composing and mastering of the eight tracks of "Heavens & Fantasies''. BL has a rock sound, compact and powerful in its simplicity contaminated by stoner scene. In 2010, Hot Lips is included in the Sludge Swamp Comp III (stoner/doom comp that includes tracks from independent artists) in a version recorded by BL in his studio. Speed Up, the first track of their first album, says "... here the days are all the same ... slowly rolling to nowhere ... you know we need a change…keep on speedin’ up until we’re far enough'' and is the sense of whole project. The music as an escape from a flat reality. "This is fantastic methodical chilled-out Stoner Rock to the umpteenth level. Brilliant fuzzy guitar tones buzz around your head like a swarm of bees angry because you fucked with their hive. The cymbals crash and ride as the underlying rhythm spews you into the psychedelic vortex of riff-filled glory. With guidance from influences such as Queens of the Stone Age, Kyuss and Fu Manchu, these cats from Grottaminarda, Italy went to the school of Stoner Rock and passed with flying colors. I am still trying to get "Dancing in My Mind" out of my head, so addictive!"